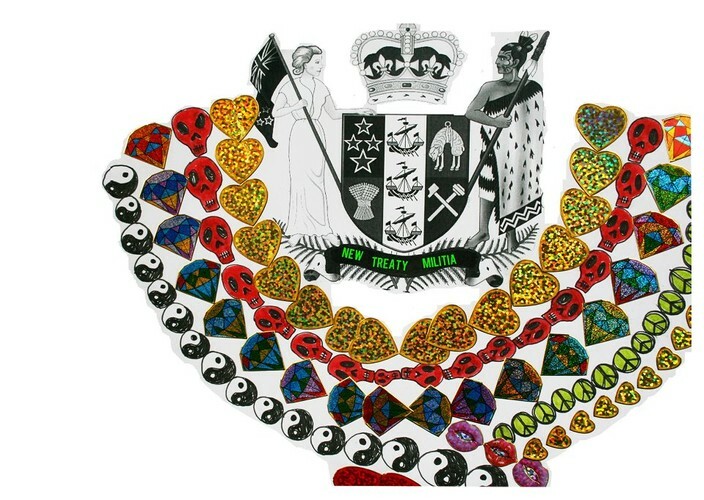 Cat Ruka (Auckland) presents New Treaty Militia. Award-winning performance artist Cat Ruka presents her latest work New Treaty Militia, a theatrical protest that radically explores the contentious document of the Treaty of Waitangi. It investigates how this document relates to the way in which identity is constructed – and perhaps obsessed over – in New Zealand, and poses the idea that it preoccupies Maori and Pakeha with an abstract game of power transferral. 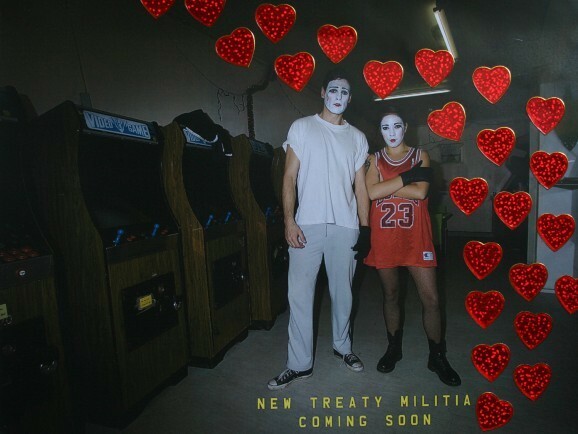 New Treaty Militia is a surreal and decadent performance critique that strives to demonstrate the realities of how this document manifests in all its horrifyingly dark and profoundly creative ways. New Treaty Militia is a duet between Cat and New Zealand born dancer and performance artist Josh Rutter..
Also at the Long Hall at 8pm iiii Festival presents Folk Off! Uke Hunt!